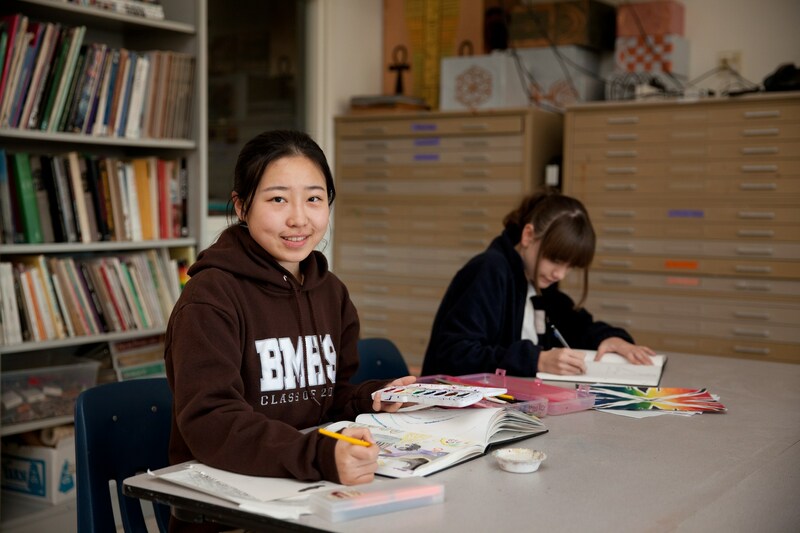 Creativity thrives in the BMHS Fine Arts Department which offers a comprehensive and widely diverse curricula in areas of music, visual arts, and dramatic arts. Music classes include Orchestra/Band, Chorus, Class and Solo Guitar, Guitar Ensemble, Recording Studio/Music Composition, and AP Music Theory. 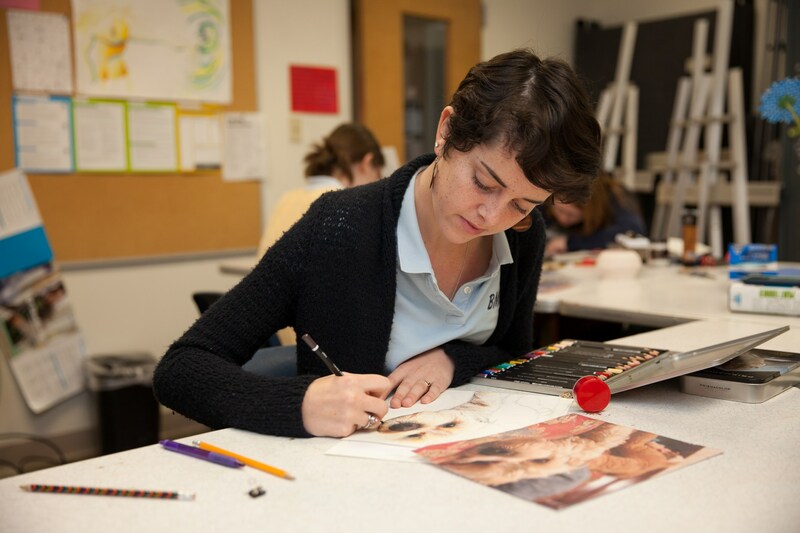 In the Visual Arts, offerings include CP Art, Honors Art, AP Art History, AP Studio Art, Photography and Digital Imagery, Pottery, and Painting. Extra-curricular Fine Arts activities include an a cappella ensemble, Voice Crossings , the Art Honors Society, and the BMHS Drama program which twice a year produces some of the finest high school stage productions in the Triad. In addition, the department regularly offers cultural enrichment opportunities—performances in prominent music festivals and field trips to museums in North Carolina and across the country. One of the central goals of the BMHS Fine Arts Department is to develop community through collaboration. 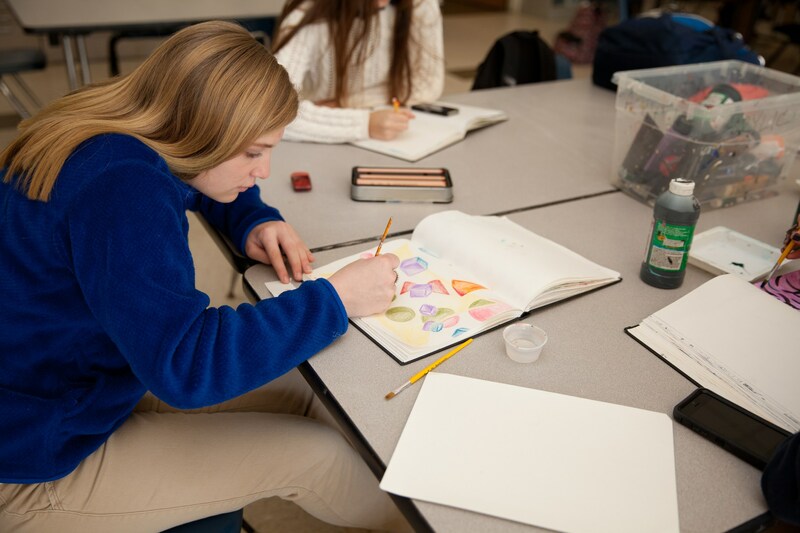 Opportunities abound, such as drama/music in stage productions and music/art in the annual Winter Art Show and Spring Fine Arts Day Festival—a school wide all-day and into-the-night celebration.